HEROESCON 2013 GUEST LIST UPDATE :: PETER BAGGE! ERIC CANETE! STEVE EPTING! ERIC POWELL! PHILIP TAN! & MORE!! Here is a great HeroesCon 2013 Guest List update to close out 2012 and a reminder that today is the last day to get your HeroesCon 3-day passes for $30. Bob Almond has inked Stan Lee’s Guardian Project, Black Panther, Heroes For Hire, Warlock and too many other great comics to list here. He is also the founder and coordinator of the Inkwell Awards which recognizes excellence and acheivement in comic book inking. We’re happy to welcome Peter Bagge back to HeroesCon this year! You love the iconic style that brought Hate’s Buddy Bradley to life and we’re sure you picked up Reset, his 4-issue mini series from Dark Horse Comics in 2012. SETH’S PICK :: NEW AVENGERS #1: I’ll admit that, while I think Brian Bendis’ run on Avengers is respectable, it never really did much for me. The Illuminati idea, though, was one that always seemed promising. You’ve got Marvel’s smartest heroes secretly convening to stop threats only they can. It’s a good idea that should realize more of its potential under the direction of new writer Jonathan Hickman. If his Avengers title is the sprawling, huge cast facing off against even larger threats, then New Avengers looks to be the converse – a small group operating in a more hidden manner. 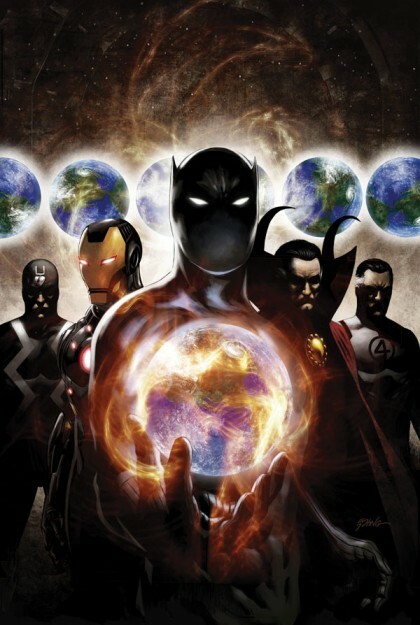 If you’re a fan of Black Panther like me, you’ll be happy to know that T’Challa will also be a big part of New Avengers. I’d also be remiss not to mention that the artist of this book is Steve Epting, who did some nice work with Hickman on Fantastic Four. I’m not exactly sure what the pair has planned for this title, but I’m betting it’s worth a look.